For some reason in the middle of March, I got the wild hair to try doing builder gel nails on myself. March 15th to be exact. For the life of me I can not remember why I wanted to do this but at the time I thought it was the best idea ever and had to do it right away. Now let's not forget I am not a licensed nail tech and have no formal training. I just watched a few YouTube videos and made my sad attempt. And as a side note: Just because you see it done on YouTube does not mean you should try it at home. Consider that my little PSA for the day. 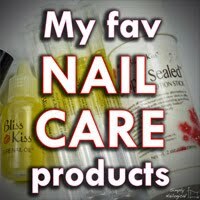 Also, I need to add that while I am an affiliate for Bliss Kiss nail products their affiliate program is on hold until further notice as of April 28th, 2017. I will not make a commission off of any sales during this time but wanted to add the affiliate link to my post in the event that the program gets reinstated. I have to say I was pretty proud of myself for doing a semi-decent job but regretted putting them on almost immediately. I felt like I had flippers on the ends of my fingers and I just knew that my natural nails would be trashed once I took them off. Which I decided to do about 2 weeks later on March 31st. Ouch!!!! I knew my nails would not be in good shape after removal but what I saw made me want to cry. Just look at that mess, not to mention they were thin and brittle too. How was I supposed to be able to blog about nail polish when my nails looked like this! After staring at my nails for 20 minutes, on the verge of tears, the entire time inspiration struck. 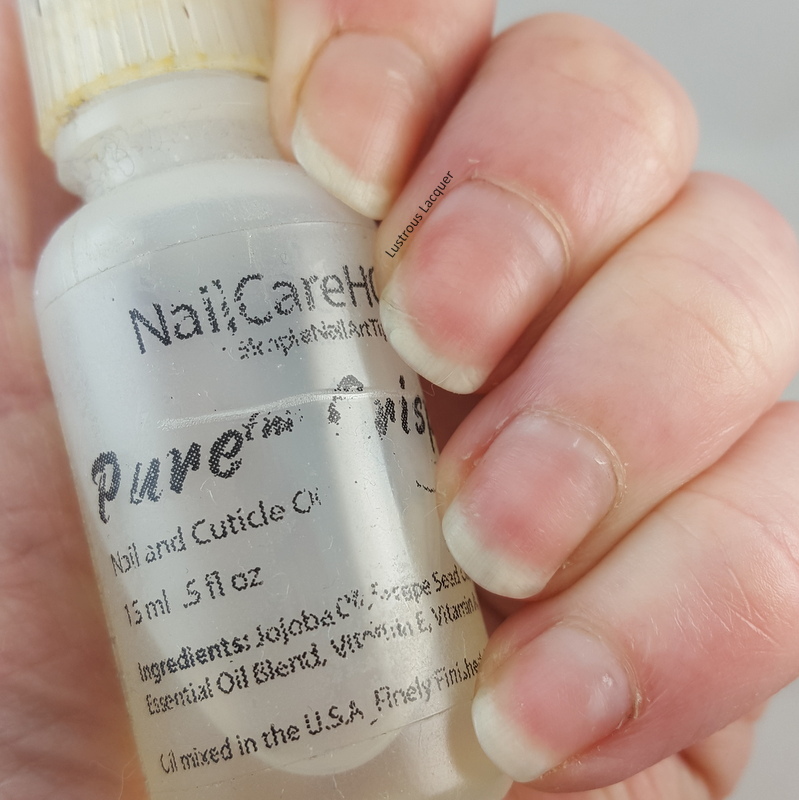 I could do a thorough testing of my simply pure cuticle oil. After all if Simply Pure couldn't save this hot mess nothing could. 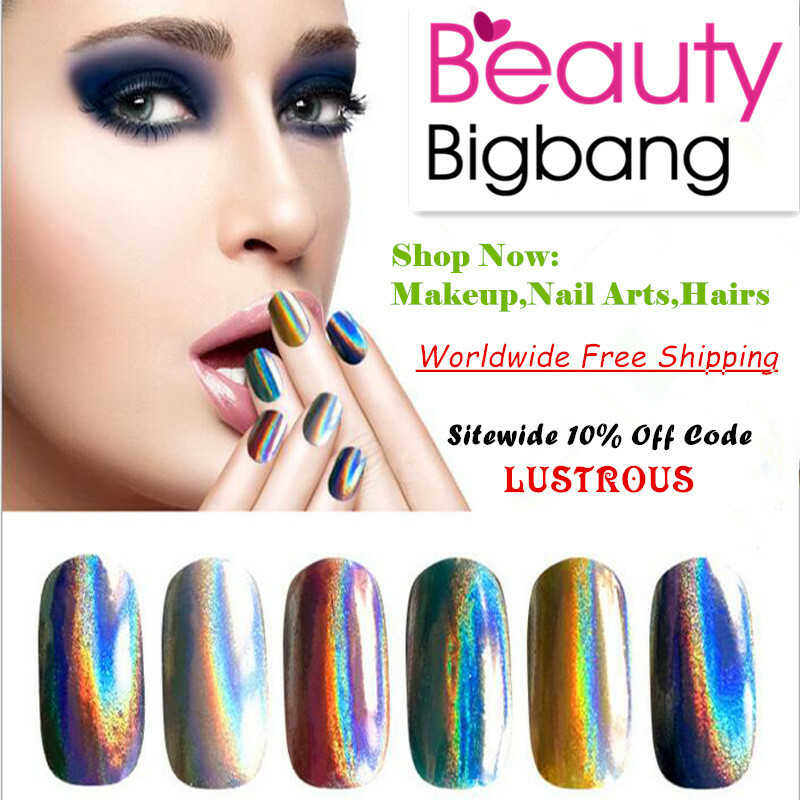 I decided that I'd had the gel nails for two weeks so I would test for two weeks. I applied the oil in the morning before work and at night before going to bed. The only other products I applied to my hands during testing was some St. Ives Lotion. I tend to use hand sanitizer at least a dozen times a day at work and my hands tend to suffer from it. I did try to only apply the lotion to my actual hands and not rub it in around my cuticles like I normally would, but old habits are hard to break. After 2 weeks (April 14th) these are my results. Now keep in mind that I didn't do anything but apply the oil. 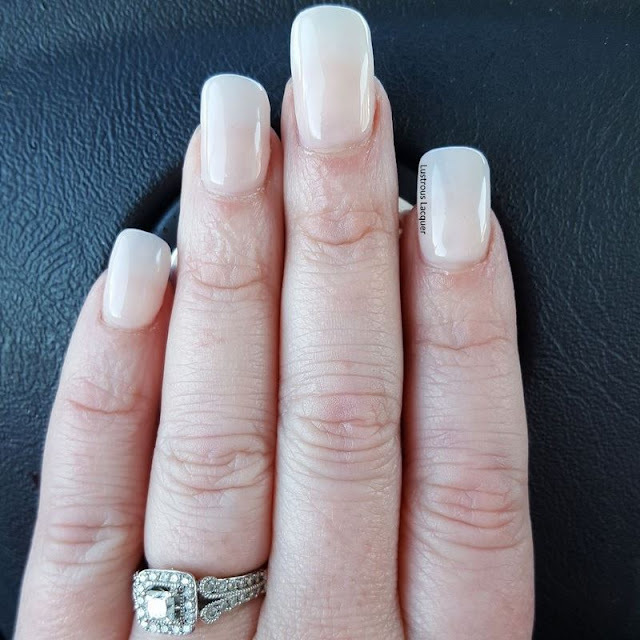 There was no cuticle removal, nail painting or filing. And I'll warn you if you're expecting a miracle that's not exactly what happened, but I think you'll still be impressed with the results. 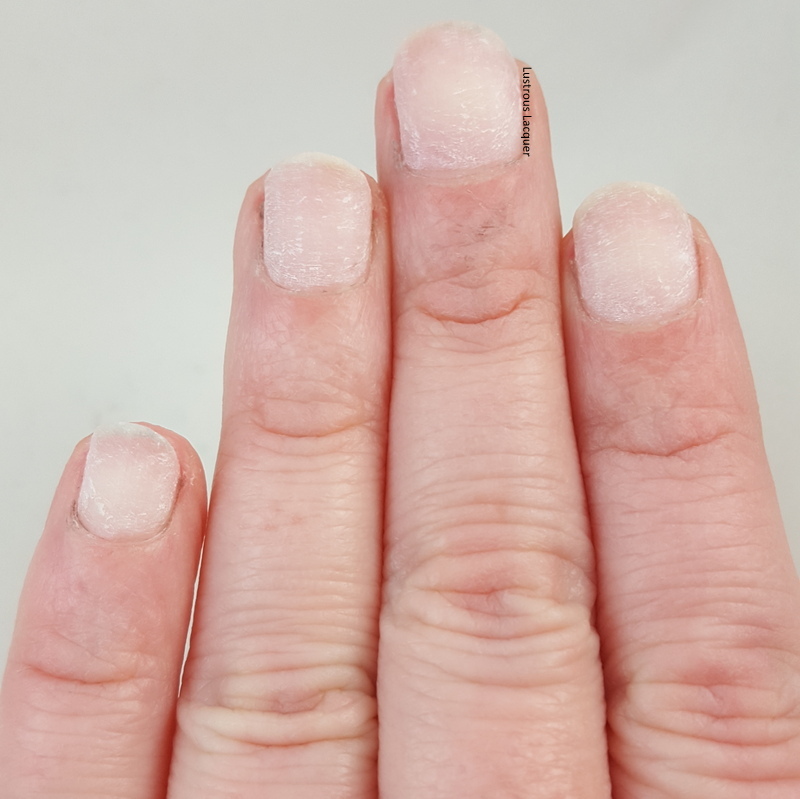 You can see that my nails and cuticles are still in rough shape. But would you look at that nail growth! And the nails themselves while still being on the thin side look healthier. 2 weeks after finishing my experiment I closed on my new house and started the moving process. Sadly my nails are no longer this long. All the packing and moving did a number on them because they were still thin and a bit brittle at the tips. I can't imagine what the would look like if I hadn't been applying the oil to them so religiously beforehand. Once all the moving is done and the last few boxes out away I will do my full nail care routine but until then I'll still be applying Simply Pure twice a day. Thanks for stopping by and Happy Polishing!